Kerala, Rained Out And Homeless, Needs Help. What You Can Do. 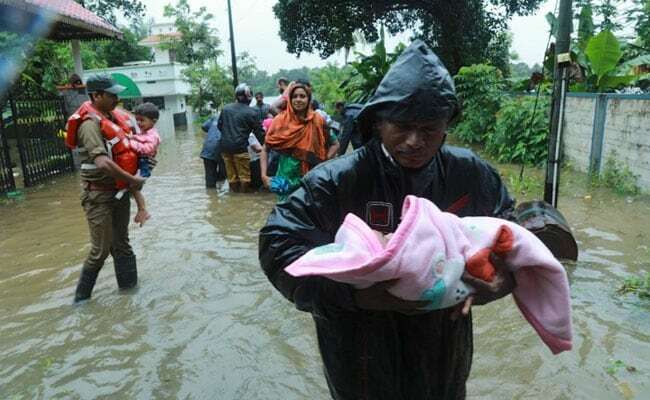 At least 237 people have died since August 8 and over 6 lakh are now in relief camps in Kerala. The state is an unprecedented crisis, ravaged by torrential rain. Here is how you can help. Uday Foundation is coordinating a massive relief effort with the help of Indigo Airlines and Jet Airways. For donation through credit or debit cards, please click here. Since Uday Foundation is not registered with FCRA, we cannot accept foreign donations. We accept donations from non-resident Indians only through any bank account operational in India. Contributions made by a citizen of India living in another country, from his/her personal savings, through the normal banking channels, is not treated as foreign contribution. After you've made a donation, please send details to help@udayfoundationindia.org, along with your complete address and PAN card no, enabling us to send a 80G tax exemption receipt of the same. Note: This information has been provided / published on a good faith basis, without any commercial motive. NDTV does not vouch for the authenticity of the claims made by the intending donee, nor can we guarantee that the donations made by a donor will be used for the purpose as stated by the intending donee. You are requested to independently verify the contact information and other details before making a donation. NDTV and/or its employees will not be responsible for the same.